Base station antenna conceived by using an innovative feed system studied and applied to have highly symmetrical radiation pattern in both planes (E and H). It's completely computer designed to get high performances of gain and front-to-back in the working band. All aluminium parts are protected by anodized treatment, hardware are of Stainless steel or zinc plated steel, mounting bracket is of extruded aluminium for the best strength and the connector is placed in rear position for an easily access. 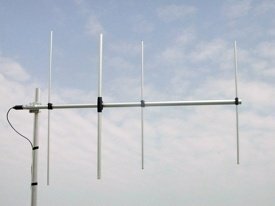 To increase the antenna gain please install it in stacked or bayed array. Patent pending applied. If you have any questions about this product by Sirio Antenna, contact us by completing and submitting the form below. If you are looking for a specif part number, please include it with your message.